I’ve previously reviewed MeLE PCG01 TV stick powered by Intel Atom Z3735F, and found it to be well designed, without overheating issues, so that this Intel TV stick performed just as well as as bigger mini PCs. NotebookItalia found out that the company is now about to launch a new version at the Hong Kong Electronics Fair 2015. MeLE PCG02 is still based on the same Bay Trail processor, but it interestingly comes with an Ethernet port rarely found on TV sticks. 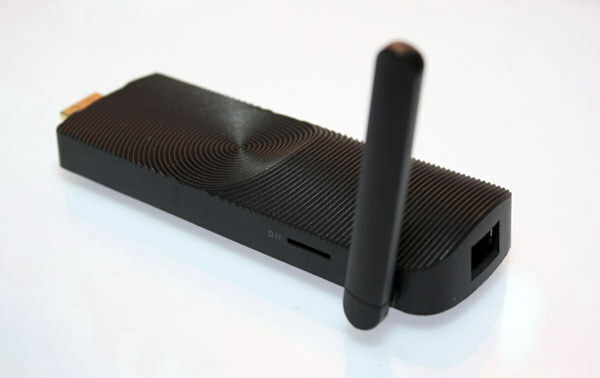 The device is pre-loaded with Windows 10 Home (Activated), and will start selling in November for $119 shipped. A Cherry Trail version is also planned. Wow, what a brick! How do they expect this to be connected whithout breaking the HDMI port? Of course you’ll use an extender cable, but it looks ridiculous to me.